As a strategic marketing partner, our creative team continues to assist and elevate the RxNT brand to new levels. Through marketing planning, brand awareness, user-interface design and web design – our team has established engagement opportunities and awareness in the healthcare industry. 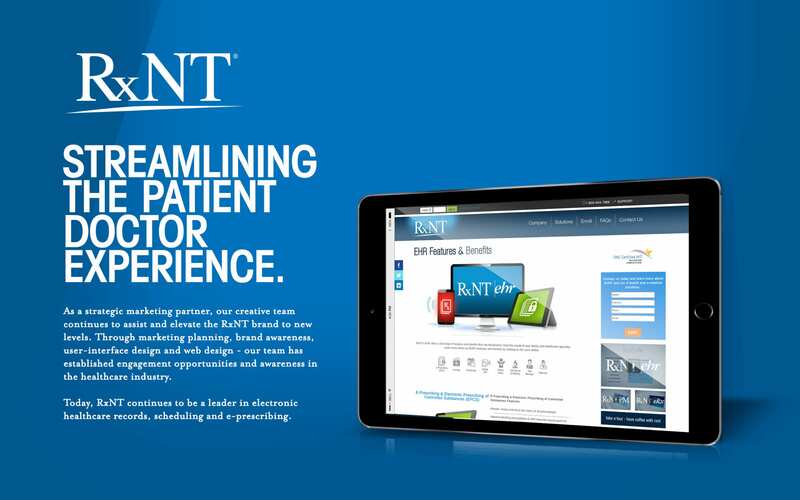 Today, RxNT continues to be a leader in electronic healthcare records, scheduling and e-prescribing.